Verum Inveniri announced themselves on 11th of January, via PAC investigation board. This gave the beginning to their first Access Dive. Since then this mysterious group has sporadically showed up normally with events that either involve solving a series of puzzles, or dead drops spread world wide and even teaching us encryption techniques. 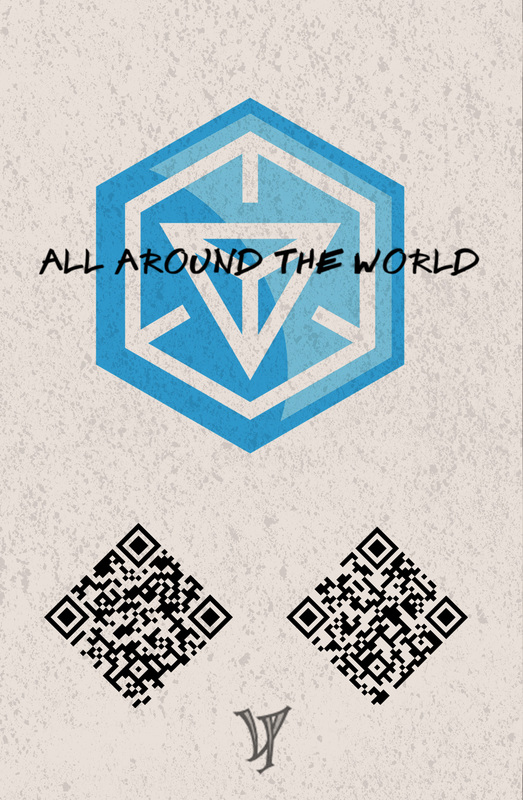 While they have showed to be interested only in discovering the truth, even though their members seem to support both factions individually, a series of events starting in August 2013 began to hint at activity outside of the puzzle/dead drop events. P. A. Chapeau went offgrid October 1, 2013, halting posts to his investigation board. On the same day, the VI posted this on their g+ feed indicating potential increased involvement in the developing storyline. Due to the sheer amount of these puzzles each dive has it's own page. These so far have begun with 2 puzzles that the solution leads to the next puzzle and normally involves a metapuzzle at the end of the 2 chains. We have sent word to PAC about a series of dead drops that span the globe. Over 20 drops total to be found, and 100 scanner activation codes. If you successfully recover a dead drop, feel free to share your proof with us. Post pics of the moment of discovery to Google+ (#deaddropday) and we will give you an extra scanner activation code to share - just be sure that any recovered intel does not fall into the wrong hands. During the day they posted several photos of locations where agents could collect an unseen storyboard (a different one in each location that contained invite codes). You can see those storyboards in here. International Dead Drop Day was a resounding success. Agents across the globe in 22 cities responded rapidly, cooperating to recover many of the cached assets and to share them with fellow agents. We fight the unseen battle. Over the coming months, we hope to share with you the tools to combat the NIA. We will not back down. Are you prepared? (+Verum Inveniri claim they came across an internal communication from the NIA. Something that should’ve been destroyed. To protect the identity of their group and the investigative community, they are releasing them in a series of dead drops. 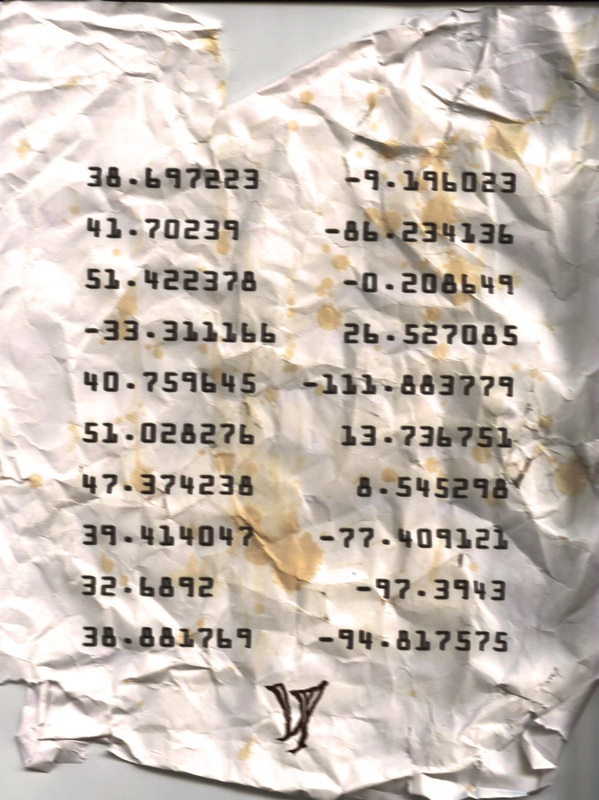 These ended up being coordinates for librairies over the globe. They were all assembled in this map by Enrique Zanardi. There are some numbers in the order form. Is this another puzzle? Drop plan initiated. Good luck. The images were for dead drops in New Orleans. What was found in the portal is seen here. Dead drops have been discovered in Louisville. We have received intel that the Portal “Gaslight Square Gazebo” is inaccessible and that the drop there has been removed. Please share a private post with us with photo evidence to obtain the next drop's location instead of going to this Portal. We obtained this document through an anonymous source and were asked to publish it today. It might be related to the #DICE2014 Anomaly. We wish all Agents in the field the best of luck. A few hours later they would announce the beginning of the #nominus deaddrops. Steganography is the art of hiding messages to keep them secret. A transposition cipher is a cipher that works by simply shuffling the letters of the message around. If you do this at random, you end up with an anagram. However, if you want to reliably decode messages, you need to shuffle the letters in an ordered fashion. A simple way to do this is to write out your message in rows then read it out in columns. One favourite of the NIA is a more complex method called railfence. Write out the message in a zig-zag pattern, then read it out in rows. These ciphers are very easy to solve with pen and paper. At the time something was wrong with the code and it was giving an error when validating, but the rewards were given. Reversal - This one’s easy, and can usually be spotted visually. Railfence - We looked at this in the previous post. Boustrophedon - A fancy word for a writing system that reads left-to-right on the first line, and right-to-left on the next, and so on. The letters form a continuous snake down the page. Transpose rows and columns - This can be as simple as reading rows as columns, or may be combined with other methods. If the number of characters doesn’t make a neat block, you can pad it to fit. Skip - Start with the first character, then skip over one (or more) characters, and continue, looping around to the beginning when you reach the end. Columnar Transposition - Number each column, then switch them around. So, columns 1, 2, 3, 4 might become columns 2, 4, 1, 3. We might do more detailed posts about some of these methods in the future, but the next post will be a look at cryptanalysis. How can you get a handle on a transposition cipher? The first thing to remember, is all the characters are still there. We have an anagram! And you can use an anagram solver to find possible words hidden in the ciphertext. Once you have a word that you think is in there somewhere, you can look at the positions of the letters and hopefully spot the pattern that allows you to shuffle all the characters back to their correct positions. The NIA often break one of the critical rules in cryptography, and leave clues about the key right next to the puzzle. This can make your task much easier, for example, if you know that 4 is the clue, then you might find that the cipher is railfence with 4 rails. Substitution ciphers change the value of each letter, for example A may become B, or 45, or a little picture of a smiley face ☺. If you have the key, all you need to do is replace each symbol with the corresponding letter, and reconstruct the original message. If you are looking for an easy introduction to the world of cryptography: this is it. On the 10th of May Theresa Chic (an anagram for Cheshire Cat) had a conversation with Verum Inveniri on their channel. Mention of Field Station on radio C-100. This field station is mentioned in later posts bu the VI. Decoding as a base64 you would get a string that started as GIF hinting this was actually a GIF file. It's title was a hint to this WotD which in turn was a hint to the this part_6_-_klue_-_epiphanyold puzzle that used the same font .